Welcome to Japans' number one company of OZONE technology. Our small-sized company, EcoDesign, Inc. based in Japan has specialized in developing and manufacturing ozone generators for last ten years. We are providing ozone generators and ozone related technological supports you need. The goal of our mission is to contribute to societies through out the world creating sustainable systems for mankind. Generators are compact and portable. You will find out our products give you the best results in your research with great satisfaction. We are sure that our ozone technology will continue to evolve, and our products will be recognized as vital tools to explore exciting world of science. Ozone, originated from oxygen and goes back to oxygen, is useful and environmentally friendly. The gas has unlimited ways of use for innovation in our living space such as water purification. Ozone can play very important role in solving many environmental problems. The enthusiasm and constant efforts of ozone-research pioneers will lead the way to the various applications of ozone. 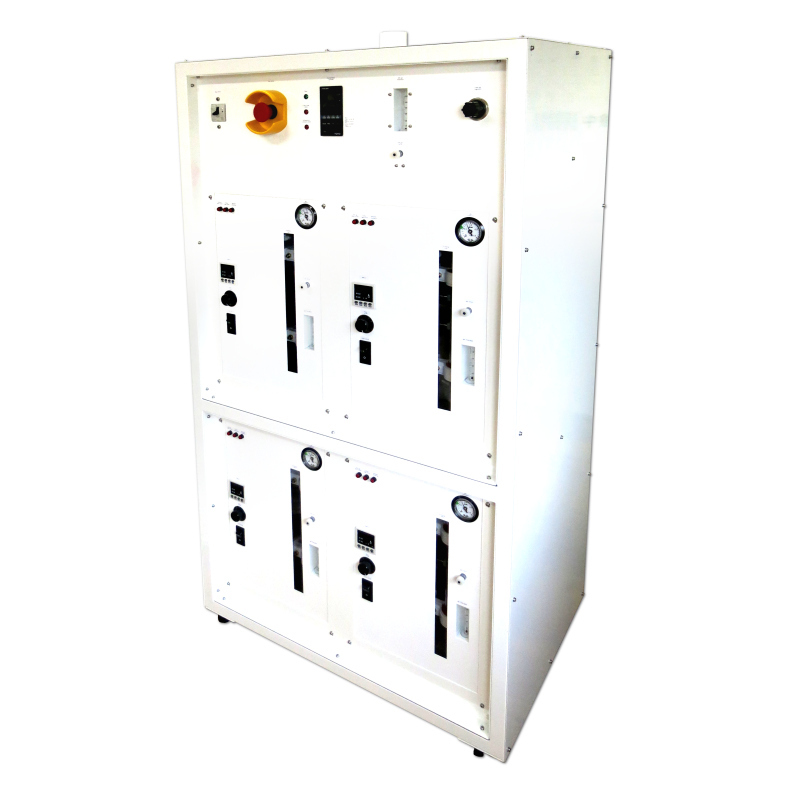 Our ozone generators of R&D series, with the following three features will surely assist your reseach. The first: The ozone generated is free from contamination. 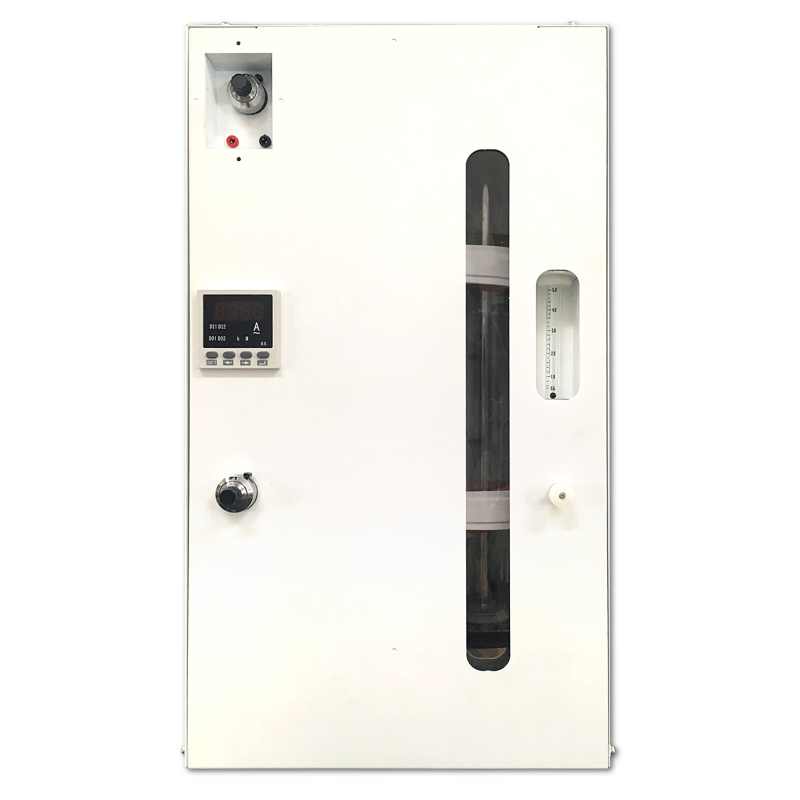 The discharge tubes, totally made of quartz glass, eliminate sputtering by discharges. Generated ozone is clean enough, and is suitable for precision cleaning processes such as semi-conductor-cleaning. Free-of-metal-parts models are also available upon requests. The second: Highly concentrated ozone gas is available. Discharge tubes with well designed gaps and length, coupled with efficient cooling system efficiently generate highly concentrated ozone. Water-cooled model can achieve the concentration up to 220 g/m3 (approximately 10 vol%). The range of your research will be greatly expanded. The third: Highly stable ozone concentration is achieved. The R&D models equipped with running water-cooling systems, cooling both inner and outer walls of gas conduits in discharge tubes, can generate ozone at stable concentration. The system also is robust against environmental temperature fluctuations. You can resume the same concentration with high precision in your experiments without difficulties. Using radiator for cooling water. Small size, light weight. No need external supply cooling water. High concentration ozonated water of 60 ppm (OWF-C5L30P). Suitable for single wafer cleaning process. Built-in ultraviolet type ozone monitor. No need external supply cooling water. Built-in ultraviolet type ozone monitor. 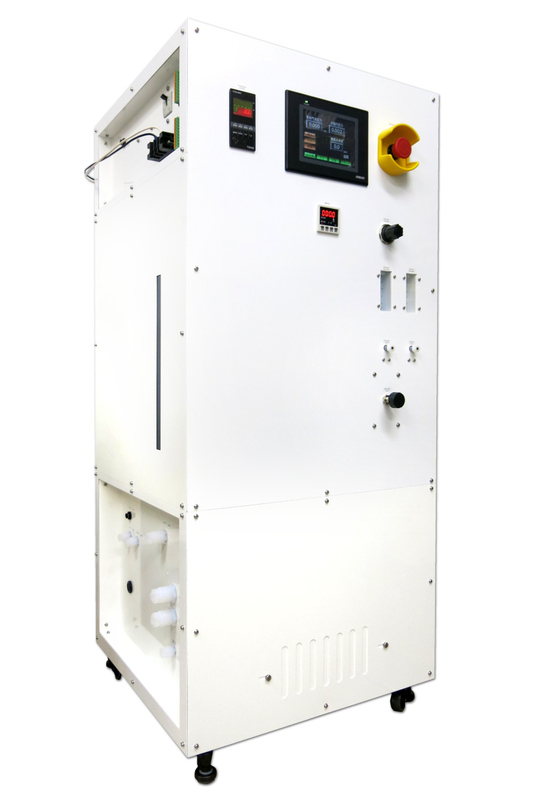 Produces metal contamination-free ozonated water that can be used for semiconductor cleaning. 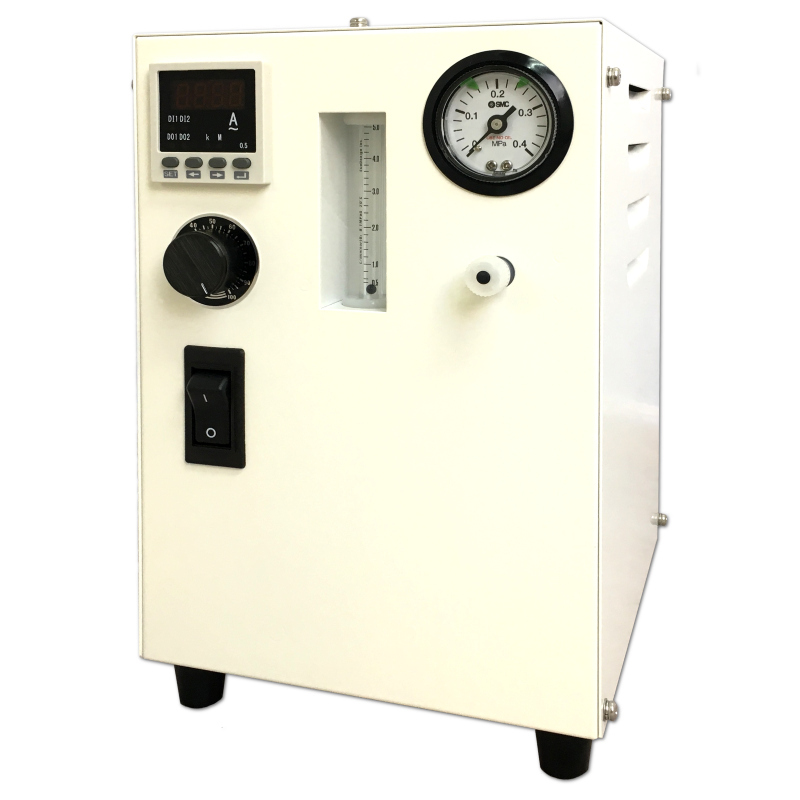 You get clean ozone gas at max 15 g per hour with metal contamination free. High ozone concentration, 200 g per m3, is achieved in your research. 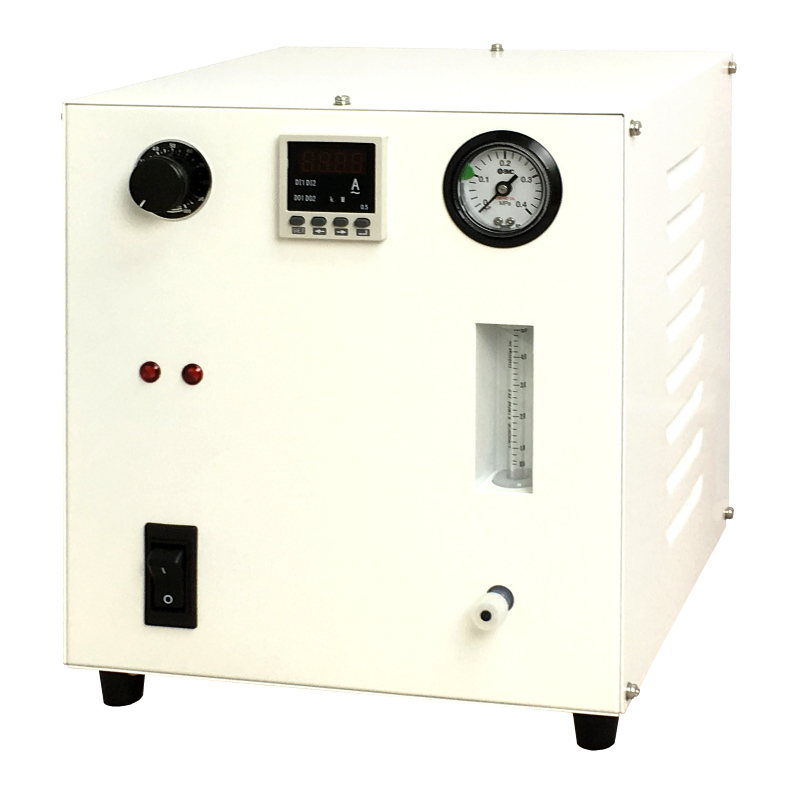 Very compact metal contamination free ozone generator, equipped with air-cooled discharge tube, produces ozone with high concentration. Air-cooled ozone generator. You only need to feed oxygen and plug it into the power source to get ozone with high concentration. Compact ozone generator module. You get metal free ozone gas at max 40 g per hour. By adding units, you get increasing in ozone amounts. 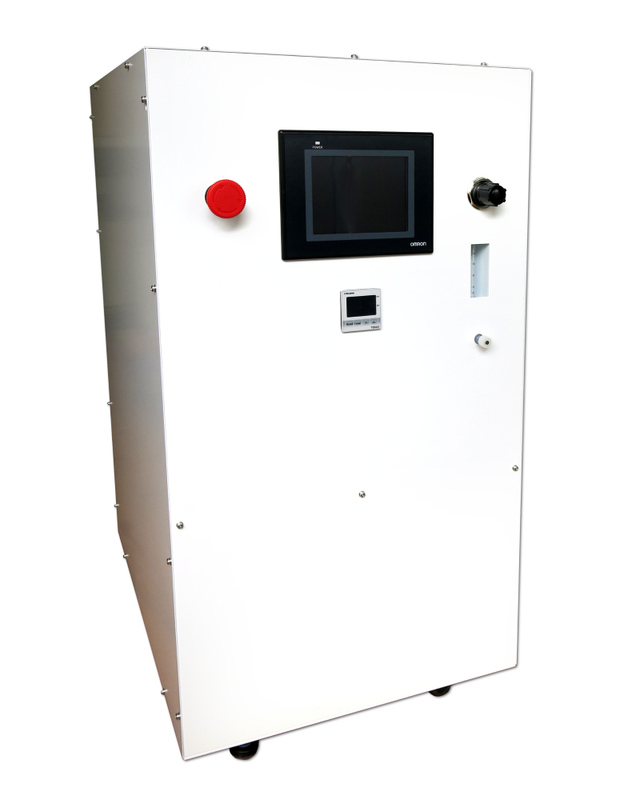 For example, named LOG-LC160G, connected four this UOG-LC40G units, has an ozone output amount of 160 g per hour. September 12, 2017: Products leaflet updated. September 11, 2017: Products information updated. September 10, 2017: Always-On SSL/TLS compliant. April 10, 2017: Relaunched this website. Copyright © EcoDesign, Inc. All rights reserved.